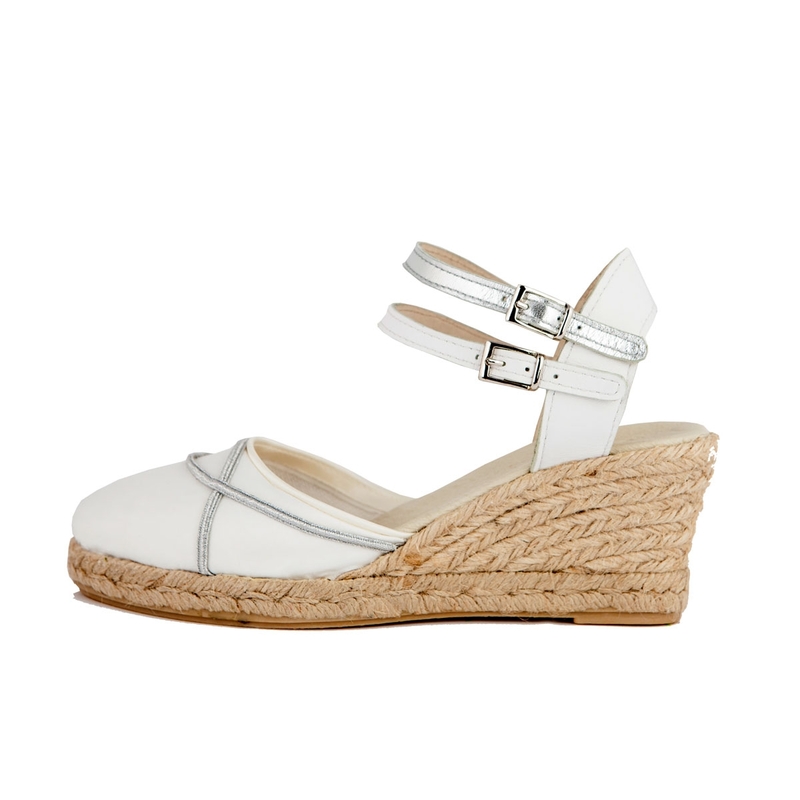 Canvas espadrille with the vamp covered in broken white satin, adorned with silver cord. Double silver and white leather strap bracelet, silver buckles and white leather counter. 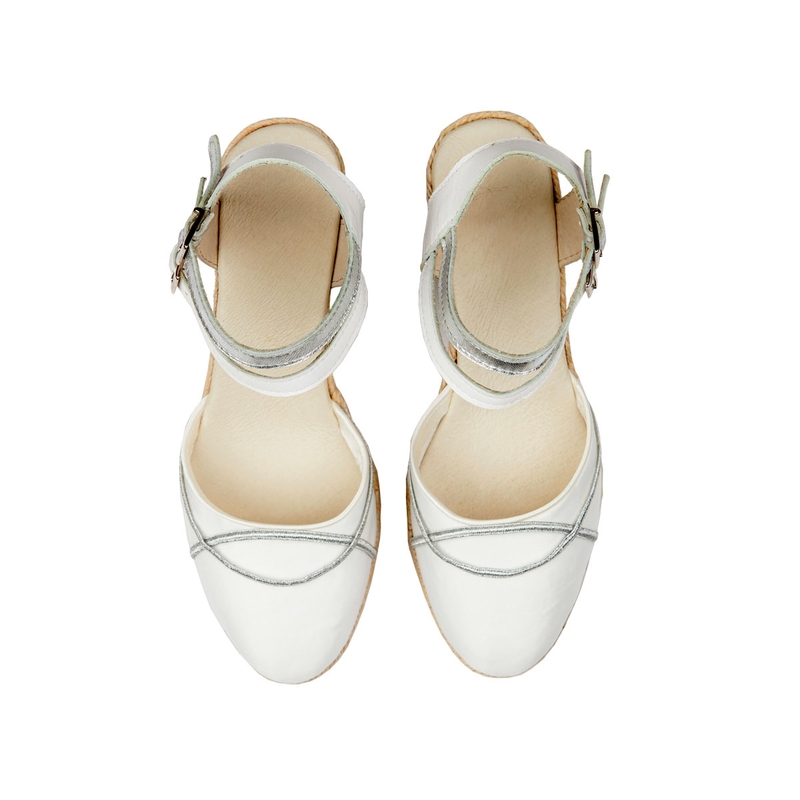 Ivory leather insole. Wedge 6.5 cm high (5 ropes). Jute sole with a protective rubber finish.